Ecommerce store owners understand the importance of developing a strong web presence. A beautiful store front is created for their websites, amazing photography is done and a huge investment is made in advertising but if you take a look at the blogs of these websites, there is little to no content. This would count as a missed opportunity as most of the niches aren’t saturated yet and content marketing is a great way of developing effective communication with your visitors. High quality and engaging content can get your visitors hooked to your blog and the blog can be used as the doorstep of the sales funnel. Communicating through the blog with your visitors and customers is a great way of developing trust. Conducting an influencer interview or letting them talk about their experience on your blog is another great idea that can be used for your blog. Many people’s purchase decisions are based on the recommendations by their favorite influencers online. The opinion holds more value if it comes from the person of authority. 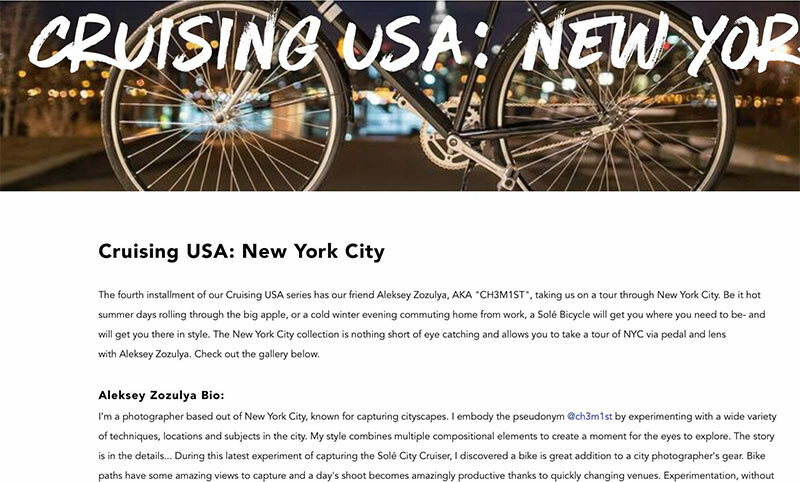 A great example of such blog post is done by Sole Bicycles where Aleksey Zozulya talks about his bike experience in the New York City. Sharing pictures of the locations that you can witness in the city while peddling through on your bike. You’re actually reading a list post right now and people love reading lists. They’re short, informative and carry a huge amount of information in a very attractive way. List posts are easy to digest and remember hence making them one of the most popular type of posts online. Our attention often gets drawn to the headlines such as ‘Top 5 tourist destinations in the world’ because it is in human nature to know what Is the best and the hottest. List posts are the best way of keeping on top of the hottest trends and knowing what is happening around the world in a very organized way. Every season brings with it an opportunity to create seasonal content and each season sees a spike in user interests and sales. From a customer’s perspective, see how they approach a particular season. Helping them choose or even provide information about what to do and what not to do in a particular season is a really great blog idea. A great implementation of this is done by Sophie and Trey in their blog. In this blog post they walk their customers through the homecoming. As homecoming is one of the most important events in a girl’s high school career, they would want to look their best. This type of blog post is really helpful for the users to read and would assist them make a purchase decision. It is also a great way to connect with the audience and take suggestions that could prove to be very helpful in the future. Posts that highlight the staff picks and favorites are a great way to connect with your audience and customers. Your staff recommending the products to the customers and introducing the newest items in your catalogues is a great way to go about it. Featuring staff picks is one of the ways to humanize your brand or business. A better way to do it would be including pictures of your staff wearing or using the products themselves. 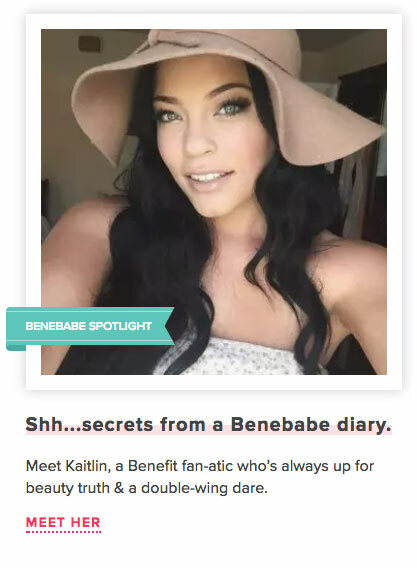 Featuring customer and fan made content is another great idea for your blog. This would add interaction and authenticity to your ecommerce website. The people whose user experience is shared across your blog are likely to share it on their web presence including their social media. This is a sure shot way of getting the marketing done through the word of mouth. Imagine shopping from your favorite ecommerce website and they feature your pictures/reviews on their blog. As a customer, it is bound to make your very excited. Customers often show-off their purchases on their social media and review them. Keeping an eye out for them and sharing them in a blog post on your blog is a great way to boost user engagement. You might want to keep an eye on the hashtag you use for your brand/business. User generated content comes in many shapes and forms. Blogging enables engagement though creativity. 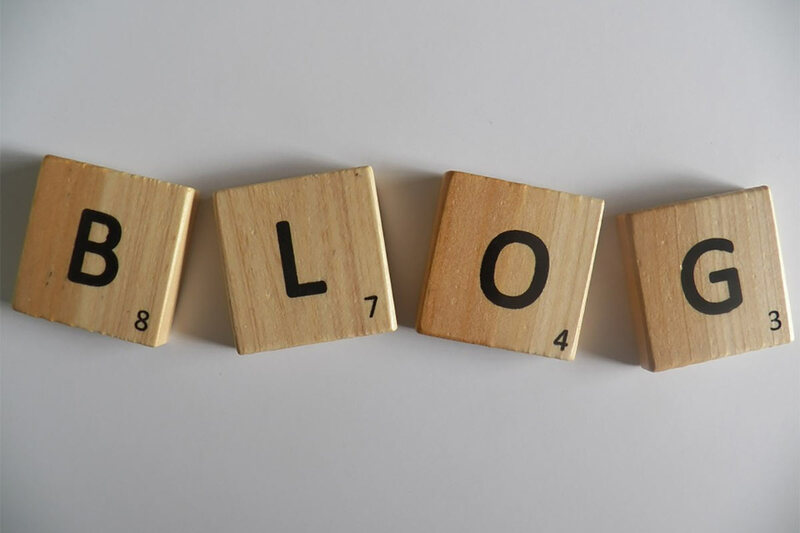 There are several ways to go around with your blog with different types of content, storytelling and sharing tactics to make your blog pretty useful for your business. Your blog should be able to add value and have clear goals. The blog for the ecommerce website is not only to be used to support your brand but to build it. All of this along with consistency is the perfect mix of how a blog should be run.